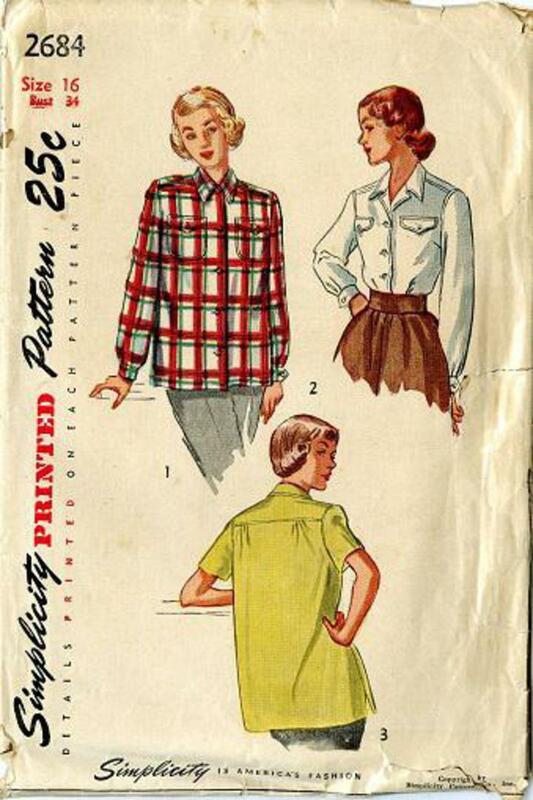 1948 Simplicity #2684 vintage sewing pattern, misses' front-buttoning sport blouse, size 16. 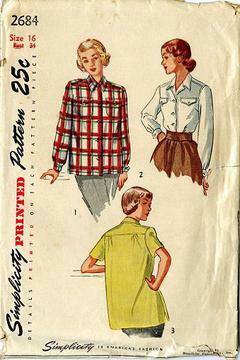 The front-buttoning blouse, styled with a convertible collar, joins to a shoulder yoke. Top-stitching is used for trimming. Long or short sleeves, patch pockets are trimmed with buttoned flaps.